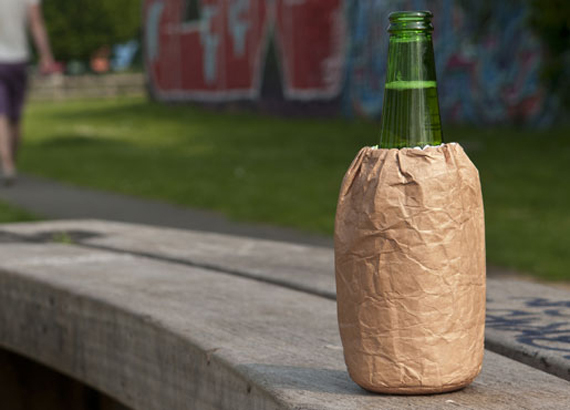 The Bum Bag Drinks Cooler is a koozie made out of Tyvek (fancy plastic). It makes it look like you’re brown baggin’ it AND keeps your beer cold. You know how I keep my beer cold? Drinking it real fast. And I get my brown bags for free from the liquor store I go to. I guess you could say being a regular customer has it’s perks! Not really sure why the Bum Bags don’t have a size available to fit a 40, but my guess is that whoever created these things is NOT an alcoholic who can only afford the bigguns. To each his own or whatever!